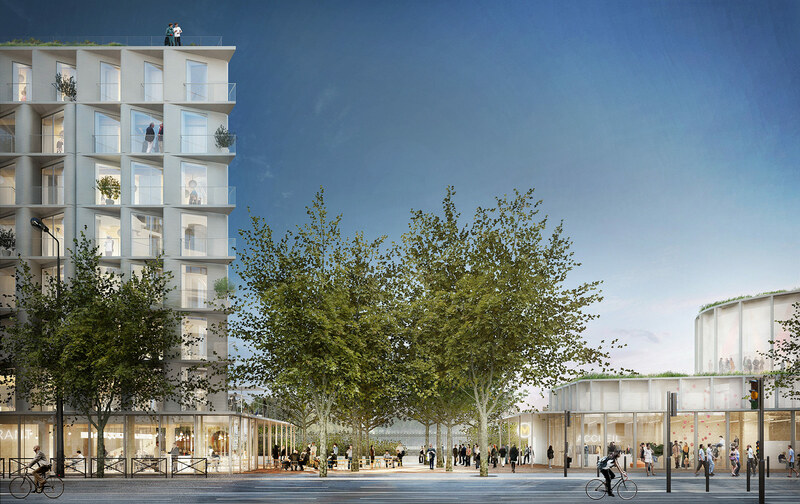 The proposal features co-living and social housing units in a seven-story wood structure that doesn’t use all the allowable massing on the site, but rather divides the site in two, deferring to the Hausmannian axis and leaving the rest of the site open. 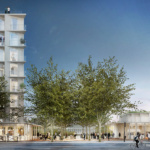 On the other half of the plot will be public spaces and another smaller, temporary building that will accommodate facilities including public co-working spaces, a fabrication lab, and a multi-purpose room for cultural activities. 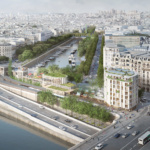 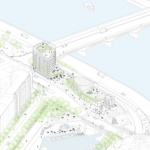 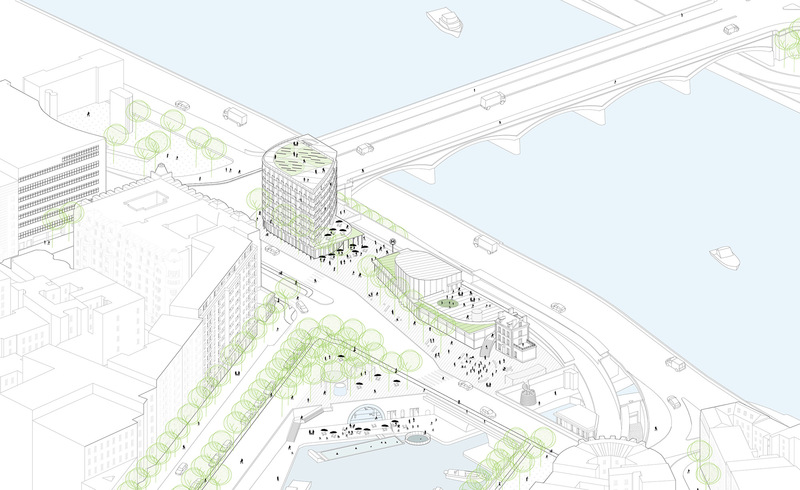 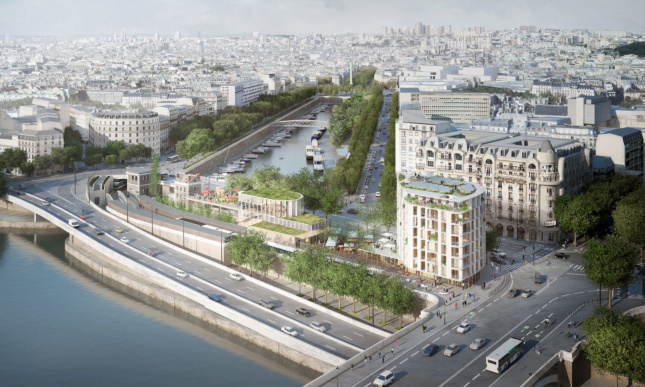 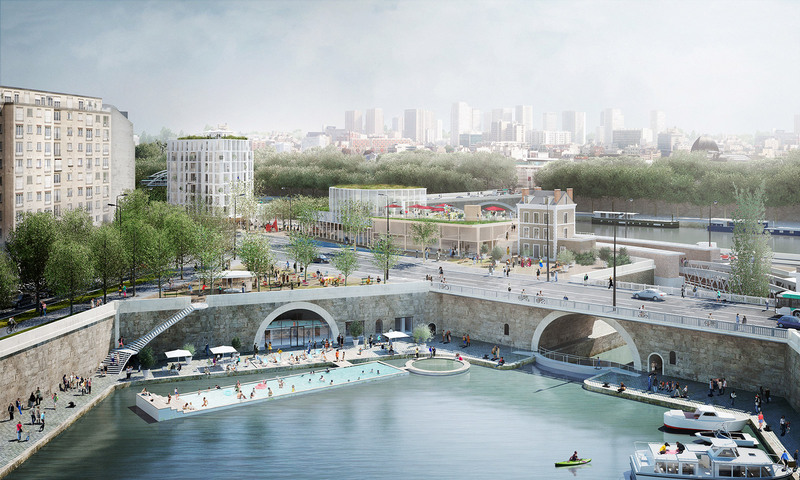 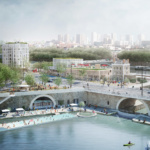 The site will also house Aurore (a homeless facility already established on the site), as well as space for the Yacht Club of Bastille and new water-front activities, like a public swimming pool and pools for biodiversity research and water quality monitoring.